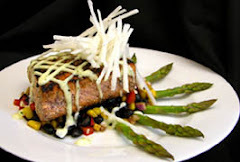 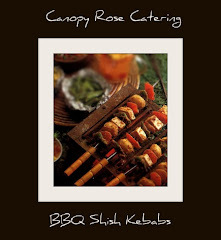 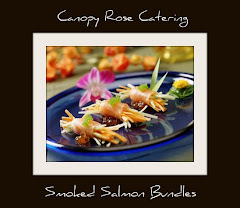 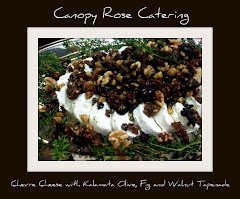 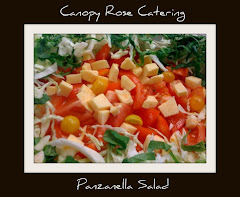 Chef Kathi from Canopy Rose Catering writes, " We just love to share pictures of the beautiful and delicious food we prepare in our catering kitchen. 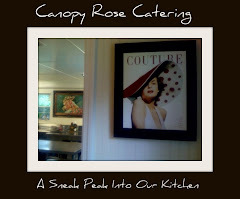 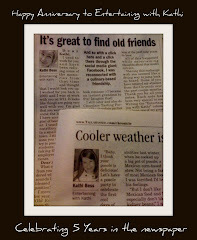 I suppose some things never change...as a school girl I loved Show and Tell and as a caterer, I still love Show and Tell! 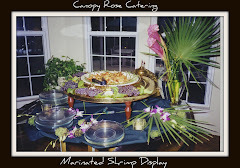 As you can see, presentation is very important to us. 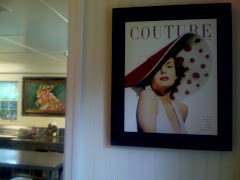 (That has alot to do with my design background.) 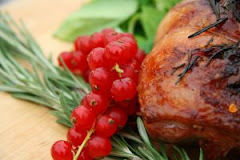 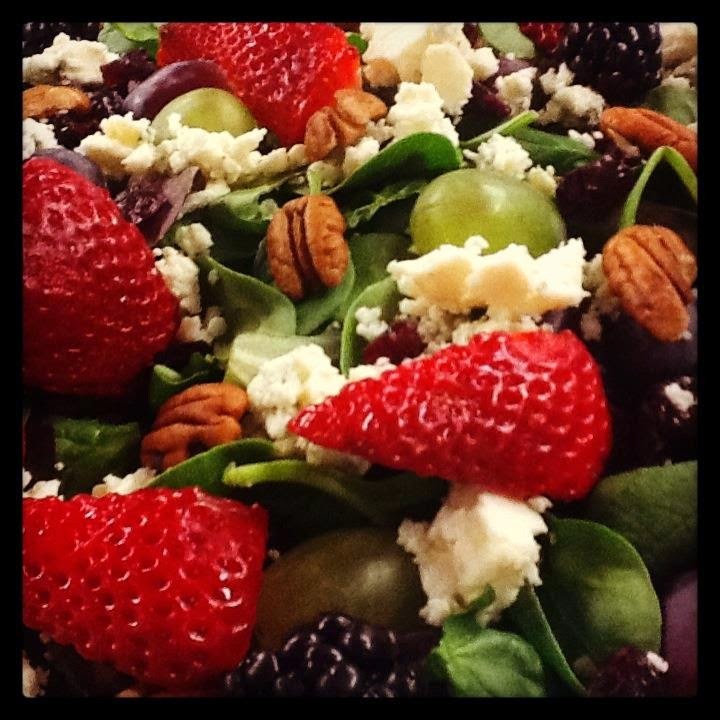 Equally important is absolute freshness and the highest quality of ingredients! 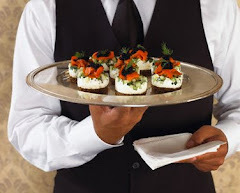 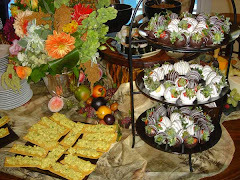 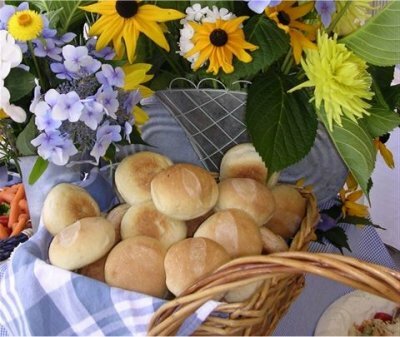 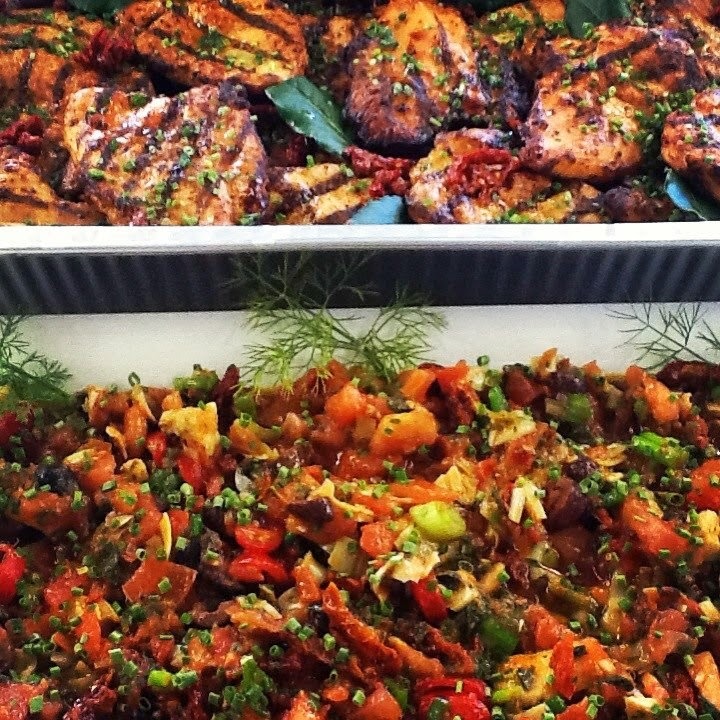 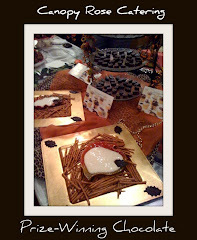 The food that we prepare for your event, is made from ingredients that are specifically purchased for your event. 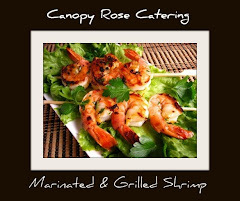 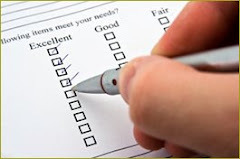 The bottom line is, I am extremely picky, which translates to a very good thing for my clients, since I am even pickier about each and every ingredient that goes into your menu!" 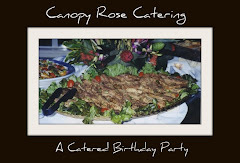 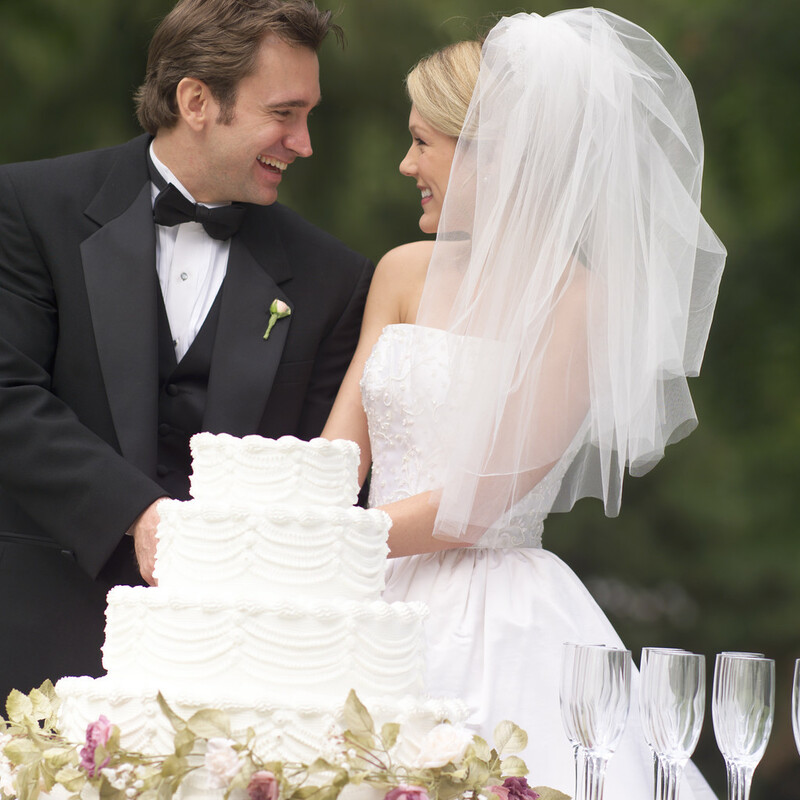 It is no wonder that this Tallahassee Florida area catering company will soon be celebrating twenty years since first opening their doors in Tallahassee in 1994! 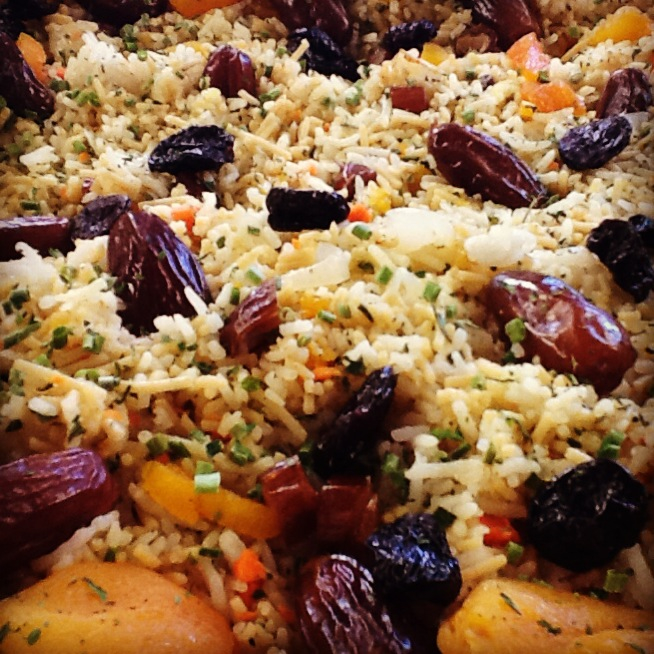 This image shows the Fruited Rice Pilaf prepared by Chef Kathi from Canopy Rose Catering for a legislative luncheon at the Florida Capitol in Tallahassee. 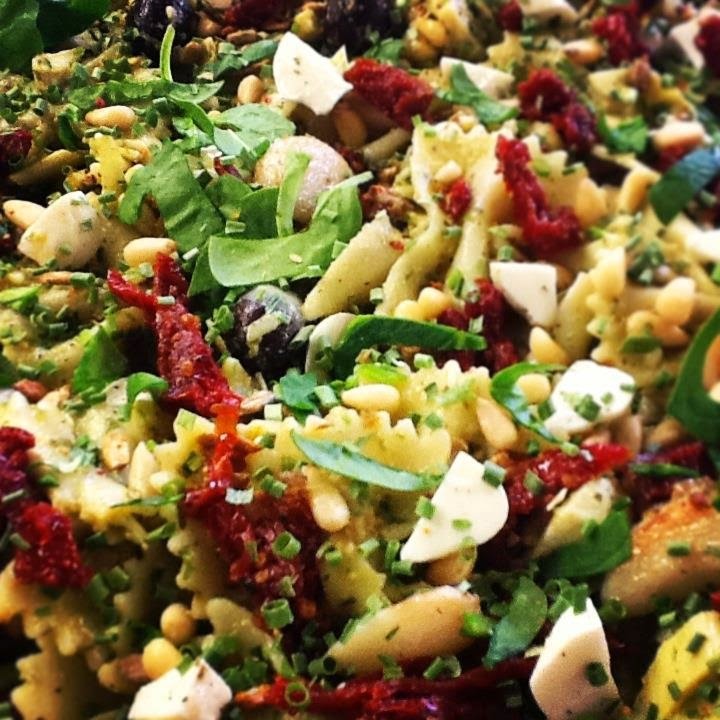 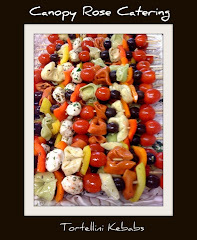 This image shows a Pesto Pasta Salad prepared by Chef Kathi from Canopy Rose Catering for a legislative luncheon at the Florida Capitol in Tallahassee. 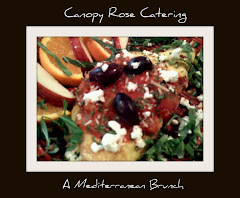 This popular Chicken Bruschetta entree from Chef Kathi of Canopy Rose Catering is popping with great flavor and is a welcome addition to any lunch or dinner buffet. 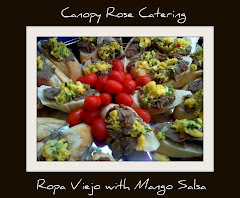 The Marinated and Grilled Flank Steak from Canopy Rose Catering is absolutely outstanding. 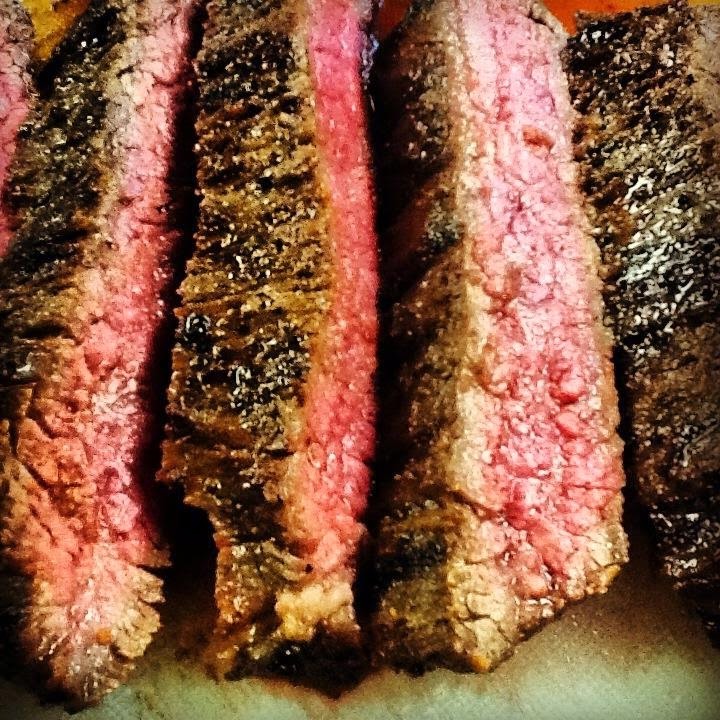 If you want to serve an extraordinary tender and flavorful steak at your next event... this is it! 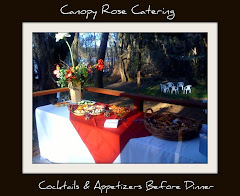 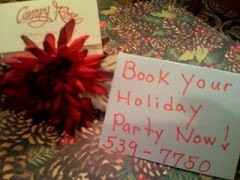 Your guests will be raving long after your event is over. 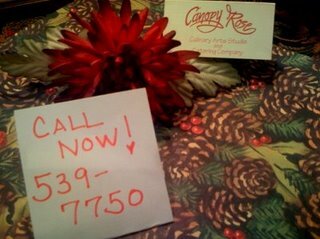 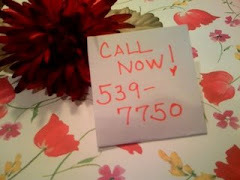 Call and order some today! 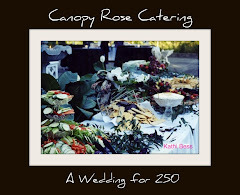 While there are so many different dessert options available to you from Canopy Rose Catering, we just love the sophisticated elegance of Chef Kathi's Grasshopper Pie. 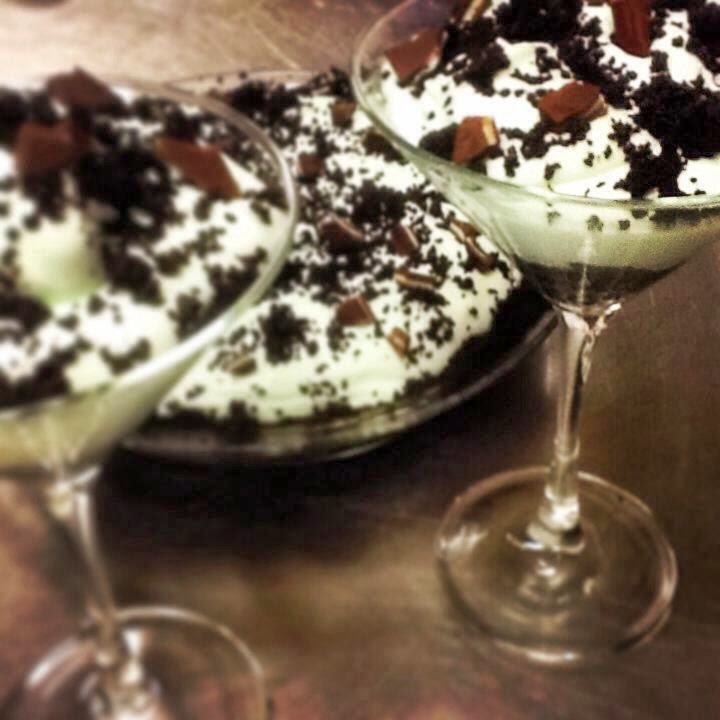 Whether traditionally prepared in a communal pie pan or served in individual containers, such as these martini glasses, the final result is pure decadent deliciousness. 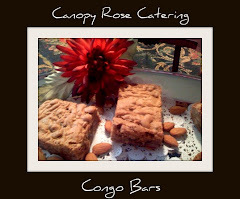 This version was made with big splashes of Creme de Menthe and Creme de Cacoa, but equally delicious non-alcoholic versions can be requested.